Living is easy in this impressive and generously spacious THREE bedroom residence in Port Charlotte Village. 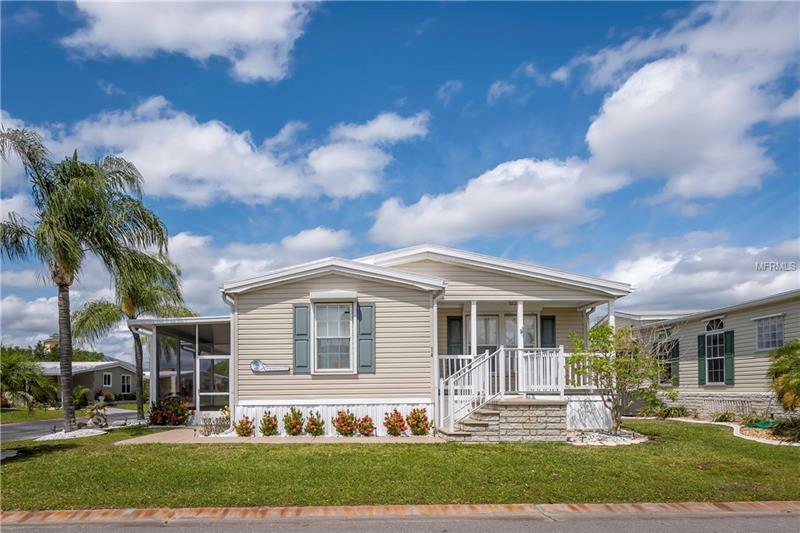 This 2006 Cavalier built double-wide manufactured home offers 1475 square feet of living space. Large master bedroom with en-suite bath and walk-in closet. Master bath features soaking tub and walk-in shower. Guest bath features tub/shower combination. On the exterior your'll enjoy the spacious 72sq ft storage shed covered parking for up to two cars 200sq ft screened lanai front porch and upgraded roll down storm shutters. Located in a resident owned 55+ gated community with loads of activities. Park share is included in the listing price. Pet friendly community. Great location short distance to local golf courses shopping dining beaches and all that southwest Florida has to offer.